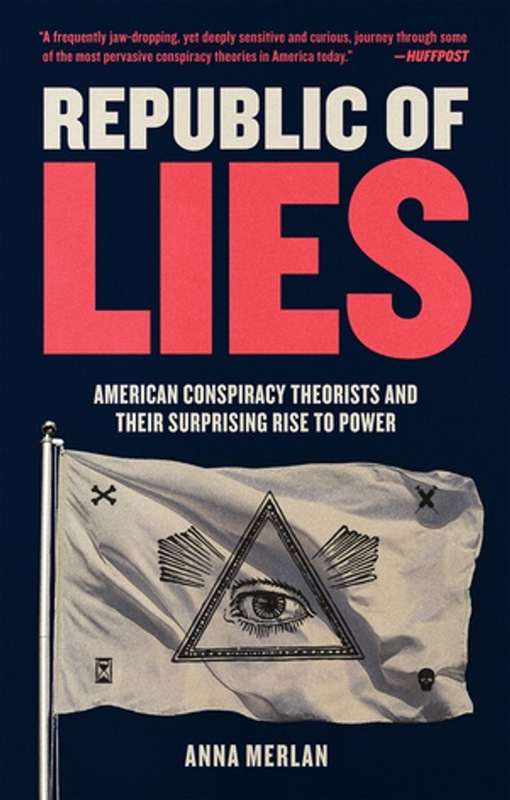 A riveting tour through the landscape and meaning of modern conspiracy theories, exploring the causes and tenacity of this American malady, from Birthers to Pizzagate and beyond. American society has always been fertile ground for conspiracy theories, but with the election of Donald Trump, previously outlandish ideas suddenly attained legitimacy. Trump himself is a conspiracy enthusiast: from his claim that global warming is a Chinese hoax to the accusations of “fake news,” he has fanned the flames of suspicion. But it was not by the power of one man alone that these ideas gained new power. Republic of Lies looks beyond the caricatures of conspiracy theorists to explain their tenacity. Without lending the theories validity, Anna Merlan gives a nuanced, sympathetic account of the people behind them, across the political spectrum, and the circumstances that helped them take hold. The lack of a social safety net, inadequate education, bitter culture wars, and years of economic insecurity have created large groups of people who feel forgotten by their government and even besieged by it. Our contemporary conditions are a perfect petri dish for conspiracy movements: a durable, permanent, elastic climate of alienation and resentment. All the while, an army of politicians and conspiracy-peddlers has fanned the flames of suspicion to serve their own ends. Bringing together penetrating historical analysis and gripping on-the-ground reporting, Republic of Lies transforms our understanding of American paranoia. Acquista Republic of Lies in Epub: dopo aver letto l’ebook Republic of Lies di Anna Merlan ti invitiamo a lasciarci una Recensione qui sotto: sarà utile agli utenti che non abbiano ancora letto questo libro e che vogliano avere delle opinioni altrui. L’opinione su di un libro è molto soggettiva e per questo leggere eventuali recensioni negative non ci dovrà frenare dall’acquisto, anzi dovrà spingerci ad acquistare il libro in fretta per poter dire la nostra ed eventualmente smentire quanto commentato da altri, contribuendo ad arricchire più possibile i commenti e dare sempre più spunti di confronto al pubblico online.